Badfish Roller Derby is back in action on September 12 as we host the Coachella Valley Derby Girls! 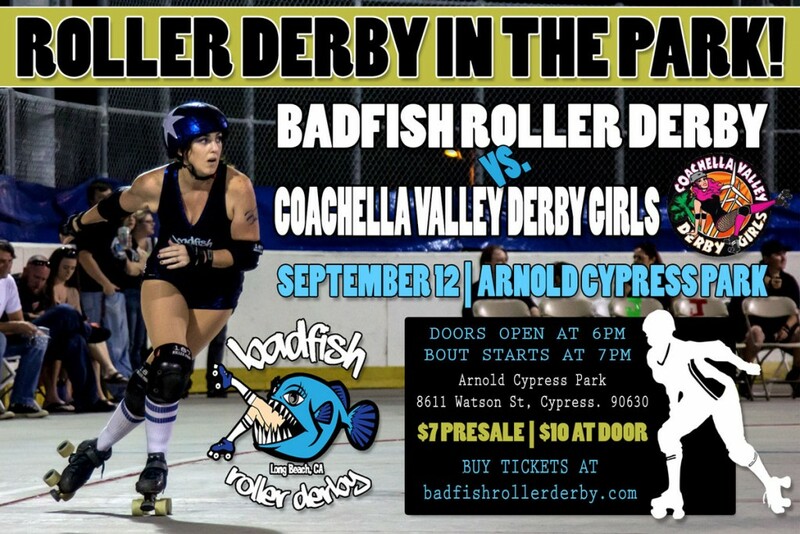 Both teams have been preparing all summer for this event so it’s sure to be a hard-hitting, action packed derby bout with all of your favorite girls. $10 at the door if you procrastinate! Doors open at 6pm.